Well recognised in the world of film this little Clownfish might not be Nemo, but is certainly worthy of the attention all the same. 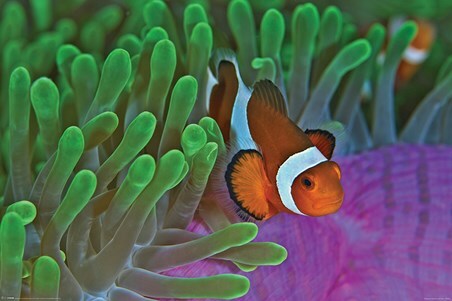 Making their home in warm waters in places such as The Great Barrier Reef and the Red Sea, these striking creatures love to weave their way through the Anemones. 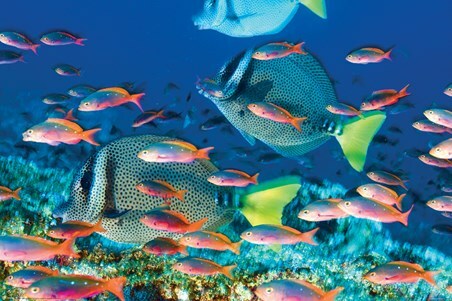 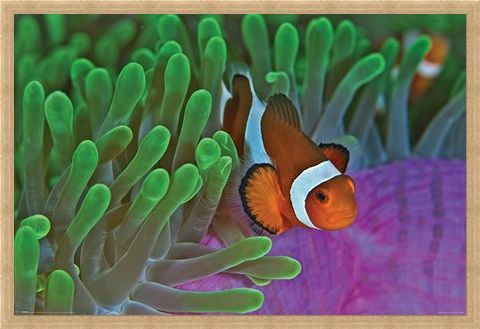 Vibrant in colour and glowing with life, this poster showcases a wonderful snapshot into the shallow reefs. 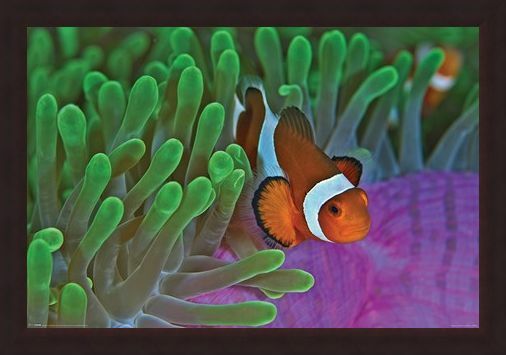 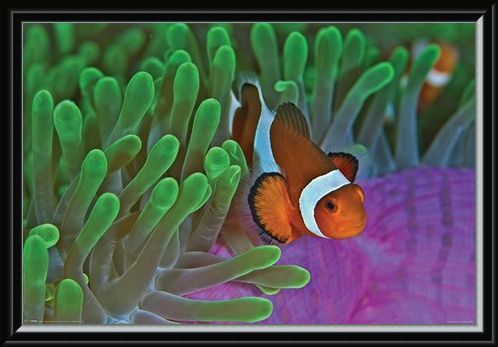 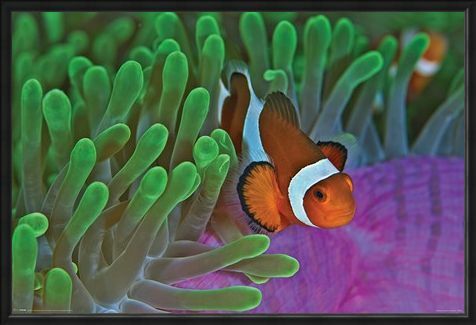 High quality, framed Life In The Reef, Clownfish & Anemones poster with a bespoke frame by our custom framing service.